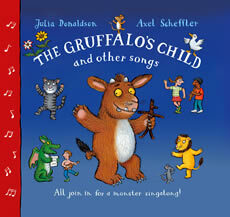 The Gruffalo returns with his very own song to introduce a truly monster music session! 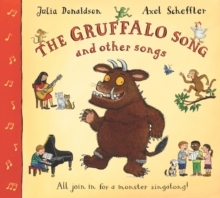 As well as being the UK’s most successful picture book author, Julia Donaldson is a gifted songwriter for children. This volume contains nine of her best-loved songs, including “The Gruffalo”, “A Squash and a Squeeze” and “Monkey Puzzle”, as well as a number of fun-filled action songs. Each score includes piano accompaniment and guitar chords. The songs will be familiar to anyone who has heard them on TV or radio or enjoyed one of Julia’s hugely popular live performances. Now, everyone can sing along!